Hedges are more eco-friendly, providing colour, and habitat for birds and bees. And whilst they give just as much privacy and protection from wind, they don’t make you feel imprisoned but rather close to nature. Another plus is that they change according to season, often creating all year interest. There are an awful lot of houses with high, forbidding walls in this part of Spain, turning homes in to fortresses. They are expensive to construct, need regular maintenance and do not deter a burglar if he has really made up his mind to get into your property. In fact it’s far more difficult to get over a prickly hedge! Hedges are more eco-friendly, providing colour, and habitat for birds and bees. And whilst they give just as much privacy and protection from wind, they don’t make you feel imprisoned but rather close to nature. 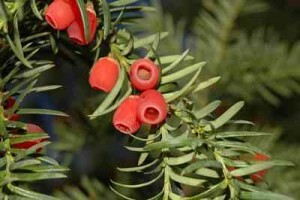 You can make hedges from a wide variety of shrubs and trees; Yew (Taxus) is a great favourite as it is slow growing – so you will need to ask your nursery for mature plants if you need an instant hedge. 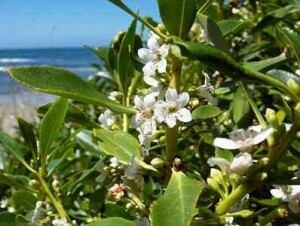 It needs to be planted in spring or autumn with about 50cm between plants. You will need to clip it in spring and late summer until it has reached maturity and then just one tidy-up a year in September will keep it in good shape. 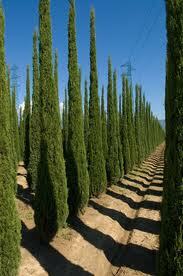 Cypress (Cupressus sempervirens) is another good hedging plant. There are a number of options, including ‘horizontalis’ with a wide spread and the ability to make a thick hedge quickly. 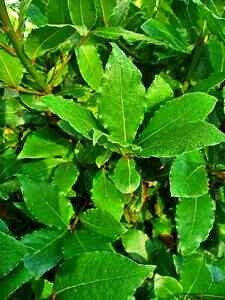 Myoporum, in Spanish often just called Siempreverde, is a fast growing plant with thick glossy leaves which does need regular clipping and gets rather leggy if left to its own devices. However, put it behind some iron railings to give it some support and it is a pretty, evergreen option with small white flowers in spring. 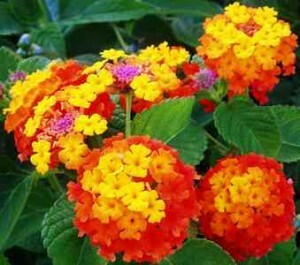 Lantana camara is a very popular contender for favourite hedge plant. You can buy a variety of colours and plant them in a row so that the different shades overlap and entwine as it grows. It does need some maintenance, but will reward you with flowers for most of the year. 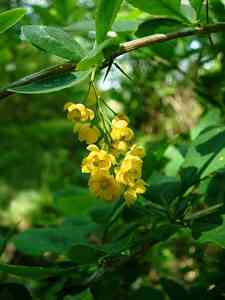 A spiteful hedge with prickly sprays of long, scented flowers is Berberis. It is a great intruder deterrent! Plant about 60cms apart and you will have a thick, impenetrable hedge which only needs a trim once a year after flowering. If your garden is very exposed, most of the plants already mentioned can form a windbreak, but if you want to include hedge within your garden to divide it up, or emphasize a particular feature, think about a fragrant, low-growing herbal hedge. 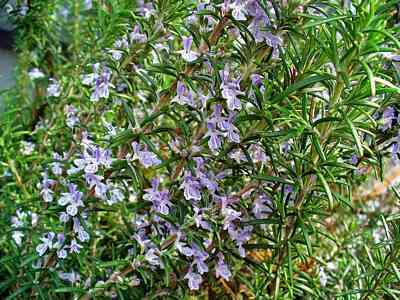 Shrubby herbs are native to this climate, so Rosemary (Rosmarinus officinalis), Lavender (Lavandula) and Bay laurel (Laurus nobilis) are naturals. One of the most versatile herbs, Bay laurel can be grown as a tall evergreen tree, but lends itself to pruning, training, growing as an espaliered plant, or even as a bonsai style herb plant. 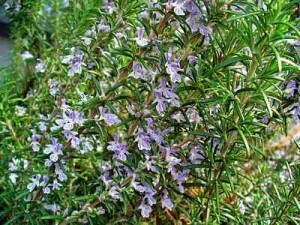 Bay plants are very attractive with their waxy-looking olive green leaves, branches that can be trained to suit your taste, and flavourful leaves that will serve a valuable function as a versatile kitchen spice. 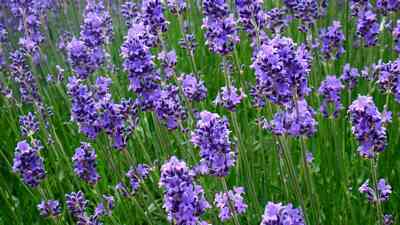 Lavender and Rosemary obviously will not grow into tall hedges, but are ideal for defining an area of the garden. They smell wonderful and both produce blue/purple flowers in the spring. They like full sun and should be planted 30-40cms apart. Pinch out the growing tips to make them branch out. 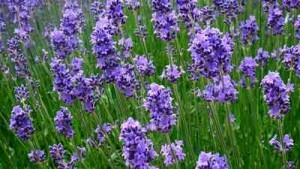 Lavender flowers can be harvested when they are freshly opened and dried, hanging upside down in bunches in a cool place. As your hedge is going to be a long-term part of your garden it is important to make sure you get it off to a good start. Do not plant too close to the house or a road – and remember to trim it back so that the pathway outside is safe for pedestrians. You should prepare the planting area in advance, digging it deeply in the early spring and then leaving it to dry and break up a bit for a few days. Dig a trench about a metre wide and put a good layer of compost or horse manure at the bottom. This encourages the roots to keep in their own territory and stops them wandering off to rob other plants of food and water. Finishing the border with a layer of organic mulch will help prevent weed competition and conserve moisture as the border plants grow together. Stake any thin or spindly plants and water well until they are established. After that most hedges need little extra water and will give you years of privacy and pleasure. This quirky guide explains the chemistry and botanical history of over 150 plants, trees, flowers and fruits, showing how they form the bases of our favourite cocktails. Amy Stewart offers gardeners growing tips and provides cocktail enthusiasts with 50 drink recipes, as well as a rounded knowledge of the processes and plants which go into popular concoctions. Spanish Hedges Gardening in Spain Hedges are more eco-friendly, providing colour, and habitat for birds and bees. And whilst they give just as much privacy and protection from wind. Spain Info HEDGES San Francisco De Asis, Urb Marina, San Fulgencio, 03177, Alicante, Spain. 38n21, 0w29.